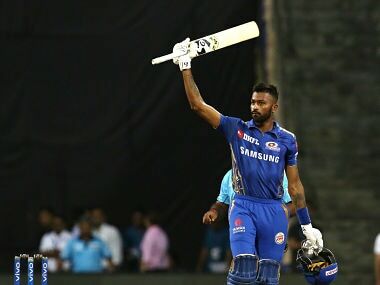 Royal Challengers Bangalore (RCB) succumbed to their seventh loss in eight matches in this season after Hardik Pandya’s onslaught on Pawan Negi, which ended the game in the penultimate over of the run-chase. Batting first, RCB had put up 171, primarily due to AB de Villiers, but Mumbai gunned down with relative ease. By no means Behrendorff’s selection was a given. He pipped guys like Josh Hazlewood and Kane Richardson to the team but his day turned even better at Wankhede in the night. Opening the attack on a spicy surface, Behrendorff got one to hold its line against Virat Kohli and eked out an inside edge from the RCB skipper. The cracking delivery gave Mumbai an early and important breakthrough in the match. AB de Villiers was threatening to take RCB to a total near 190 when Kieron Pollard’s brilliant fielding from the deep ensured the South African doesn’t get to face the last few balls of the innings. De Villiers has been merciless against Lasith Malinga in their match-ups in T20s. When these sides met earlier in the season, de Villiers hit Malinga for 25 in seven balls. At Wankhede on Monday, 23 came off the 8 balls he faced from the Lankan. With five balls from Malinga left in the final over, de Villiers drilled one to long-on and after completing a single, looked to take a second run. Akshdeep Nath, his partner at the other end, sent him back sensing Pollard’s throw. It was in fact too good and the West Indian hit the stumps from the deep to catch de Villiers short. Had Nath sacrificed his wicket for de Villiers, RCB might have set up a better target for Mumbai. The young West Indian tearaway, Alzarri Joseph, had shot to fame in the Caribbean Premier League a couple of years back when his pacy bouncer went on to hit AB de Villiers on the helmet. Joseph was out injured for Monday’s fixture (and perhaps even the whole of IPL) but Mumbai Indians still managed to find someone to disturb the South African batsman. Royal Challengers Bangalore were the best bowling unit in the powerplay overs in terms of strike rate last year. Buoyed by Umesh Yadav’s effectiveness with the new ball, RCB were sharp in picking up early wickets in the season and finished as the most successful bowling side in the first six overs. At Wankhede on Monday, they conceded a whopping 67 runs in the first six overs as Quinton de Kock took them to the cleaners. This was keeping in trend with RCB’s woeful performances in the first six overs this year with the ball. They have only taken three wickets in the powerplay overs in the eight matches played so far at a strike rate of 96, easily the worst by any team (Kings XI Punjab come a distant second with a strike rate of 41.1).